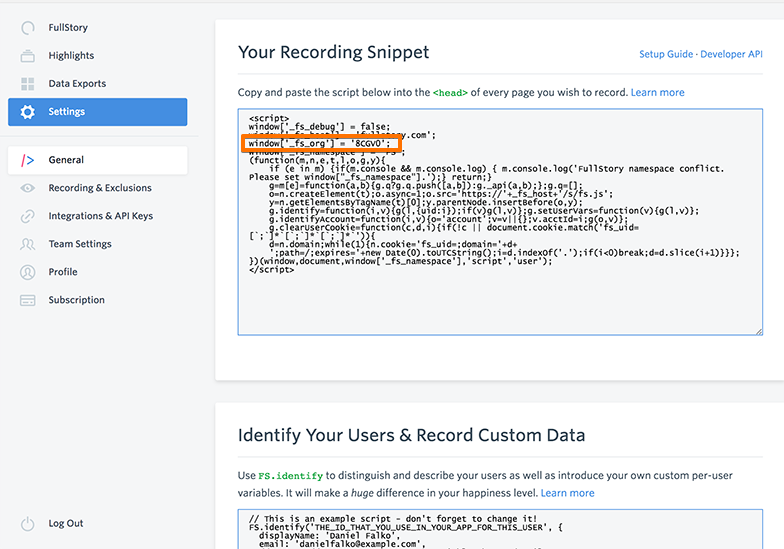 With Fullstory you can record your client interactions and watch pixel-perfect replays of your Qwilr Page activity. 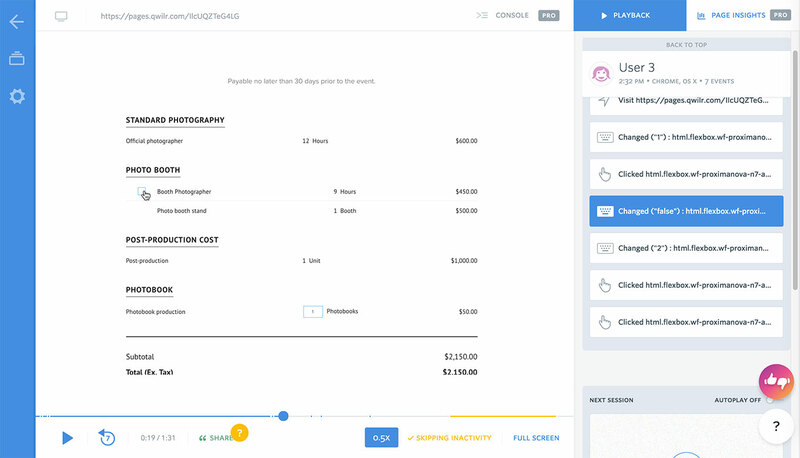 This let's you see exactly which blocks your clients interact with, or how they interact with them. Note: Integration settings are only available on Business and Enterprise plans and are only available to account admins. 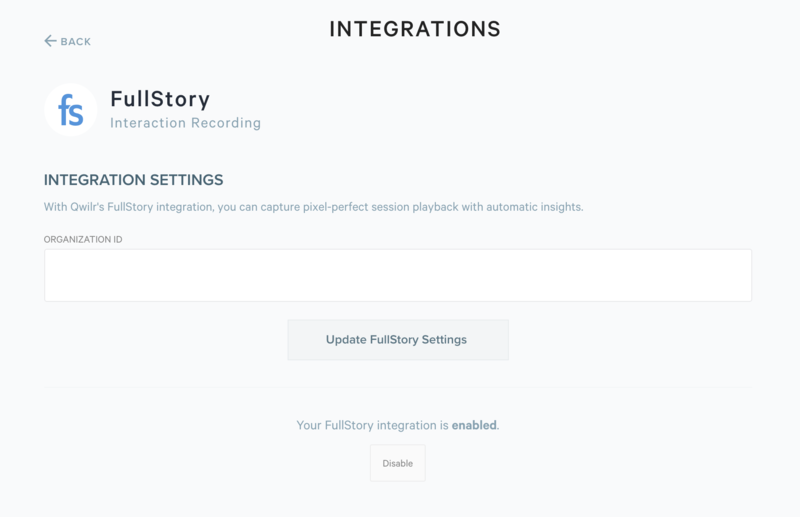 Step 1: Head to Account Settings → Integrations and click on FullStory. Step 2: Choose to enable the integration. Step 3: Head to FullStory and within the Settings copy your Organization ID. Step 4: Paste that into your integration settings and click Update FullStory Settings. As soon as you've enabled the integration Qwilr will start automatically sending your Qwilr view data to your FullStory account and you'll be able to view activity in pixel-perfect replays.